Mercedes boss Toto Wolff says that he won’t block a move to Renault for Esteban Ocon. The young Frenchman has been a Silver Arrows protégé for some time. The marque’s backing helped him make his Formula 1 bow for the Mercedes-powered Manor team in 2016. He then moved to Force India in 2017, another team on the F1 grid using Mercedes power units. However the 21-year-old has now been linked to a switch to the Renault factory team for 2019. That would take Ocon full circle to his pre-Mercedes days when he was affiliated with the French manufacturer by virtue of being signed up to its Gravity Sport Management sister company. “We picked Esteban up when Gravity fell apart,’ Wolff noted in Friday’s FIA press conference in Hungary. ‘The first team that he was actually associated with was Renault. ‘At the time he had just started our junior programme, and it just felt right with Pascal [Wehrlein] and Esteban to give them a go. But Wolff admitted that the Mercedes F1 team’s newly re-signed driver line-up of Lewis Hamilton and Valtteri Bottas left no room to give either Ocon or Wehrlein their break at the present time. ‘With Valtteri and Lewis we have a line-up that is stable, that works for us,’ he said. ‘And at that stage there is no opportunity within Mercedes. 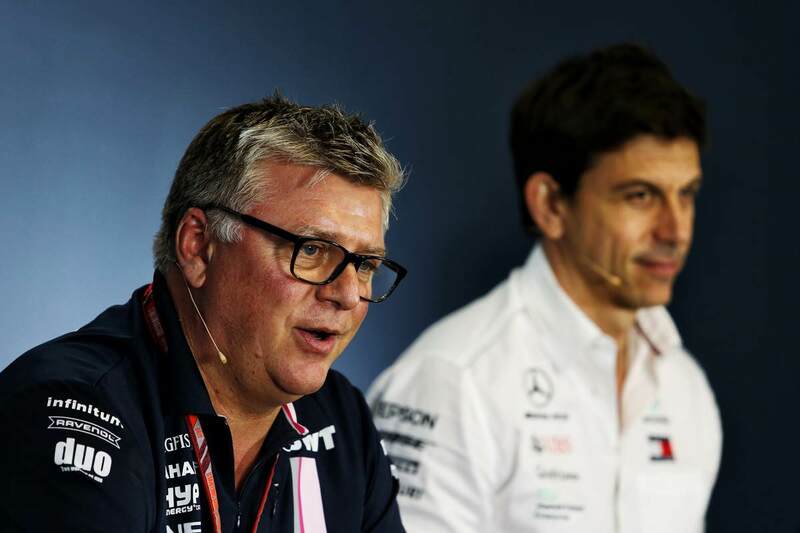 Also in the press conference was Force India’s chief operating officer Otmar Szafnauer, who was less happy at the prospect of one of his drivers heading to another team next year. ‘I’m glad there’s interest,’ Szafnauer insisted. ‘He’s a great driver and glad we chose him a couple of years ago and have helped him to progress to the point where others are interested. Just happy to say he’s our driver. “We had great discussions about Esteban when he came in and if it’s mutually beneficial then of course that’s what we are going to do. We won’t stand in his way. “But first and foremost my job is to look after Force India, so I will be pushing to do what’s best for us.